In 2009, Camas Davis, a ten-year veteran magazine editor and food and travel writer, traveled to Gascony in southwest France to study the art of butchery and charcuterie with a family of pig farmers and butchers. Upon her return she founded the Portland Meat Collective, a one-of-a-kind meat school and culinary resource that has changed the way citizens of Portland, Oregon, think about their food, their community, and their local food economy. In 2014, Davis launched the Good Meat Project in order to spread Meat Collective-style education across the country. 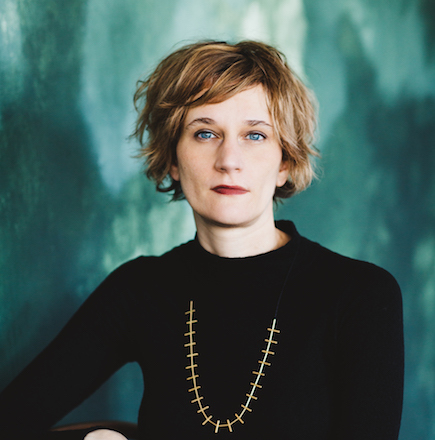 Camas continues to write about her experiences in the world of meat, including stories for the radio show, This American Life and Elle magazine. Davis and the Portland Meat Collective have also been the subject of media stories from the New York Times Magazine to Martha Stewart Living. She is also the author of Killing It, a memoir about her adventures in the world of meat. Camas lives in Portland, Oregon. Tanya Harding’s academic focus started out in agricultural biotechnology, for which she obtained a Doctor of Philosophy at the University of California at Davis. She took her knowledge of molecular biology and genetics with her to Cornell Law School, graduating into a career in patent law. After nearly 20 years as a patent lawyer in Portland, Oregon, helping research institutions, government agencies, corporations, and individuals protect their intellectual property rights in agricultural and medical technologies, Tanya retired in 2017 to pursue more food and community focused pursuits. As a consumer and fervent Portland Meat Collective student, she drew immense inspiration from Camas Davis and the Good Meat Project educational style. Tanya is passionate about shifting food production systems everywhere to be more regional, regenerative, and environmentally sound. She believes change can only arise if meat eaters understand the value of responsible animal husbandry and production methods and that this understanding can only come through education. Tanya lives in Lake Oswego, Oregon. Sarah King is a project and process manager for Nike. With experience in architecture, higher education, and international supply chain economics, Sarah is adept at helping teams achieve data continuity and scalability solutions. 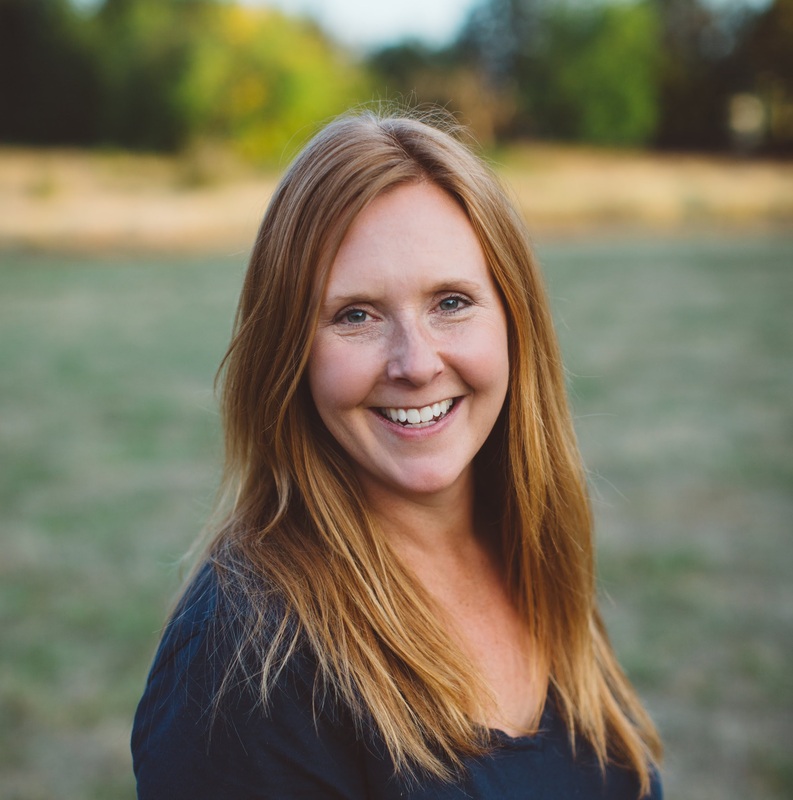 Sarah has an insatiable appetite for learning, creative thinking, and problem solving, all essential components of running a small Willamette Valley farm with her husband, Bubba. Sarah’s farm, Godspeed Hollow, showcases her family’s passion for sustainable farm management and whole-animal utilization, and specializes in pastured pork, poultry, and raw milk production. The Kings use their farming experience to inspire fellow land stewards and farmers to adopt similar approaches. Sarah lives in Newberg, Oregon. Parker Butterworth is an award-winning political strategist and media specialist. His work helped in electing Governor John Kitzhaber (OR) and Portland Mayor Charlie Hales (OR). As a campaign fundraiser, Parker has raised millions of dollars for progressive candidates. His innovative media strategies garnered awards from the Association of American Political Consultants and Campaigns and Elections magazine. In 2014, Parker attended the Seattle Culinary Academy where he met Chef (and Seattle Meat Collective owner and Good Meat Project advisory board member) Sarah Wong, who stoked his interest in sustainable meat systems and butchery. Parker also sits on the fundraising committee for the Washington Bus, a non-profit dedicated to training the next generation’s civic leaders. Parker lives in Seattle, Washington. Adam Danforth is the James Beard and IACP award-winning author of two books, published by Storey Publishing, about slaughtering and butchering livestock. He teaches workshops worldwide on butchery and meat science for venues such as Stone Barns Center for Agriculture, the James Beard Foundation Chefs Boot Camp, Oregon State University, and the National Bison Association. Adam also consults and provides experiential education to restaurants including Eleven Madison Park, Gramercy Tavern, Bazaar Meats, and Maude. He is the American ambassador for the Butchers Manifesto and a board member of the Chefs Collaborative and the Good Meat Project. Adam lives in Ashland, Oregon. Bob Dickson has been in the meat business for over 40 years, having worked in all facets of the industry from slaughter and fabrication to further processing and specialty meat production. Early experience in a small USDA and custom processing facility lead to a position with Oregon State University as a meat science technician, running daily operations and sales while also teaching. Upon completing an upper degree in animal food production, Bob was given charge of the meat science department and continued teaching courses in introductory meat science, processing, and food safety/HACCP. He concurrently provided consulting on food safety and cold chain management while overseeing processor startups. In 2006, Bob took a position with Pacific Foods, managing the meat division in Dayton, Oregon, where he stayed for six years before moving to their corporate offices to oversee innovation and product development. After the recent sale of Pacific Foods, Bob moved to a new position with Keystone-Pacific doing product development in dairy products, full meal preparations, sous vide cooking and fermentation processes in food. Bob lives in Woodburn, Oregon. Thor Erickson was born into the restaurant industry, working since he could reach a stove, cooking alongside his Norwegian father, a restaurateur and culinary instructor. After earning a degree in Culinary Arts at Columbia Community College, Erickson established his reputation in fine dining, working at legendary restaurants Chez Panisse and Jeremiah Tower’s Stars restaurant in the Bay Area. Hungry for more, he traveled to Europe, where he honed his meat cutting and sausage making skills. In 2009, Erickson began teaching the craft as a professor of culinary arts at Cascade Culinary Institute at Central Oregon Community College in Bend, Oregon. In 2013, Erickson was named “Cooking Teacher of the Year” by the International Association of Culinary Professionals, and in 2015 he was invited to teach butchery and meat curing at The White House in Washington D.C. A specialist in cheese making, butchery, and meat curing, Erickson's passion for sustainability informs his courses. He lives in Bend, Oregon. 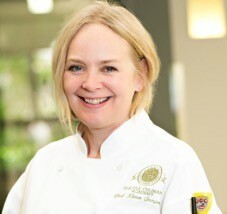 Kären Jurgensen is the fine dining Chef Instructor at Seattle Culinary Academy, overseeing One World Dining Room. She is also the founder of the sustainability curriculum at Seattle Culinary Academy which she launched in 2005. Kären spends summers at Quillisascut Cheese Company’s Farm School teaching professional chefs, culinary students and agricultural professionals farm-to-table immersion courses and philosophy and she has taught whole animal butchery courses since 2003. She was the founding president of FORKS, the Seattle Chapter of Chefs Collaborative and in 2012 she was honored with the Chefs Collaborative National “Sustainer” Award. That same year, Alice Water’s Edible Schoolyard also named her an “Edible Education Hero." She is an active member of Slow Food where she worked with Gary Nabhan on the RAFT project, a delegate to Slow Food Terra Madre, as well as a member of Women Chef’s and Restaurateurs and Les Dames de Escoffier. Karen also co-authored Rethinking the Kitchen: The Sustainable Kitchen Handbook and Chefs on the Farm, a cookbook. She lives in Seattle, Washington.